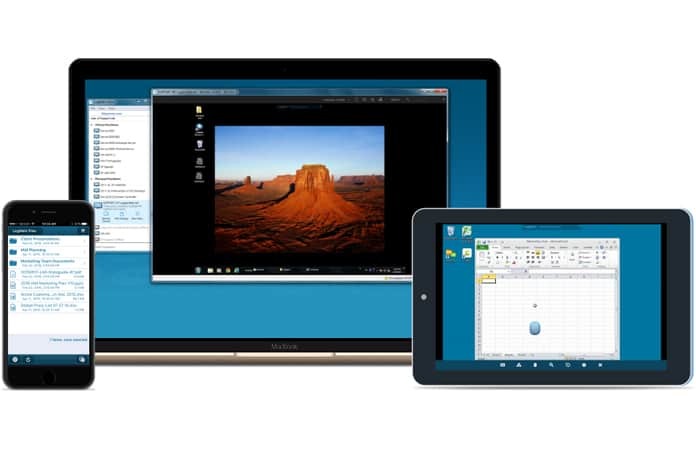 There are different remote desktop software which can be an alternative to TeamViewer. This software is useful when you want to access your system remotely from any area. Now, these types of software are entirely secure and provide a smooth connection. 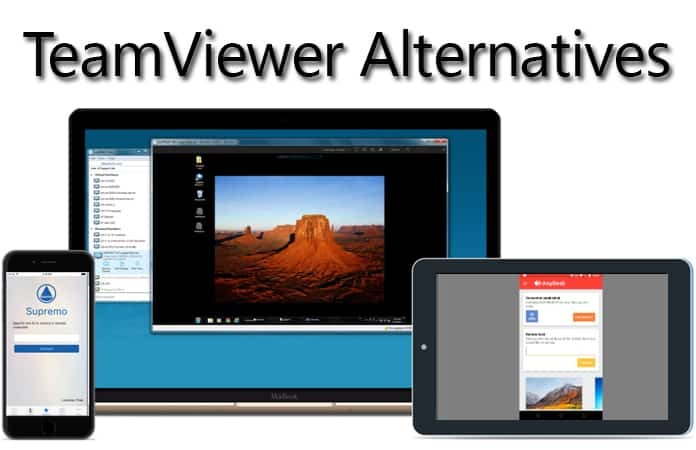 In this article, we are going to inform you about the ten best TeamViewer alternatives you can download and install on your Windows 10, 8, 7, Mac OS, Linux, Android or iOS device. You will be able to read the details and features of each software to make the best choice according to your needs. AnyDesk is a big name which is considered as the best TeamViewer alternative. It comes with a lot of helping features to give you easy access remotely. It can share the files and can transfer data at the fastest speed of 60 FPS. It provides complete support for Windows, Linux, Free BSD, macOS, iOS, and Android. It is lightweight and offers low latency for quick actions and transfers of data. You can easily use its free version which has no restrictions and have rich features. 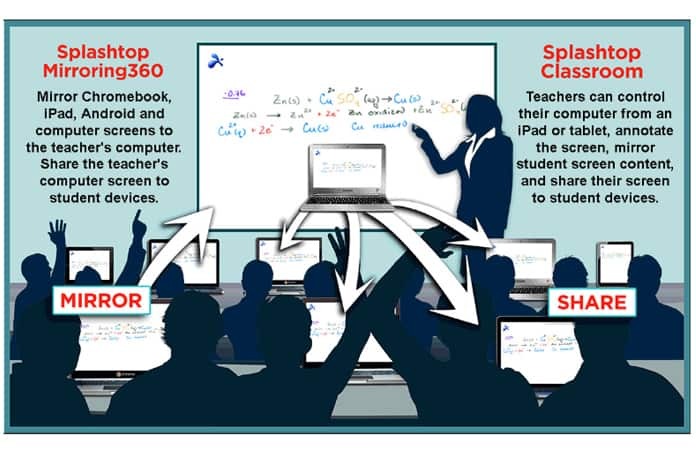 Splashtop provides you all solutions of your remote access needs. You can use this software for personal needs or commercial needs. The main benefit of using this software is the security and fast transfer of data. Your all sessions will be encrypted with 256-bit AES encryption. You will also observe protection by device authentication, two-step verification, and multiple 2nd-level passwords which are enough to provide you with a secure platform. The amazing thing about Splashtop is that there is no need to install it on the client system. You can connect with anyone using nine digits code. It enables high-quality audio and video sharing and supports gestures on mobile apps. You can use it for personal needs for free. Its business plan is available at $60 per user annually. 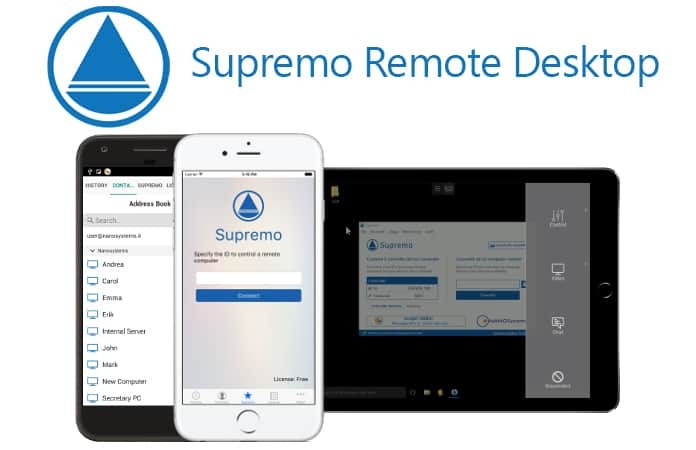 Supremo is another excellent software to help you accessing remote data. It can connect you with your required system in a few seconds with a smooth established connection. For this, you don’t need to install anything and just need to execute a small file. Supremo is totally secure and enables AES 256-bit encryption and supports USilio. It provides meeting support, and there is an Integrated address book. You can easily use it because of its easily understandable user interface and useful features. Supremo is free for personal use. For commercial purposes, its price is $178 per year. LogMeIn is a great remote desktop software which can fulfill your needs. You can access your computer files from any other device. This software will also allow you to store and share the files by drag and drop without waiting for a long time. It offers 1TB free cloud storage which you can use to share the files with anyone quickly. It is available for different kinds of platforms. 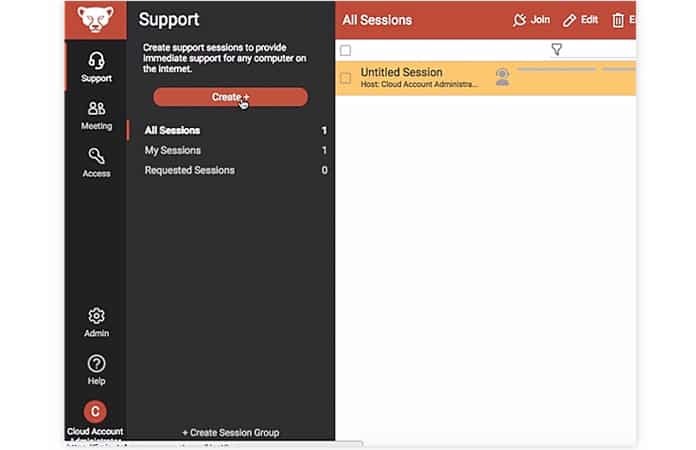 Its setup is quite easy, and you can easily record sessions. There is a free trial of LogMeIn. You can also buy Pro Packet for Individuals for $349.99 yearly. 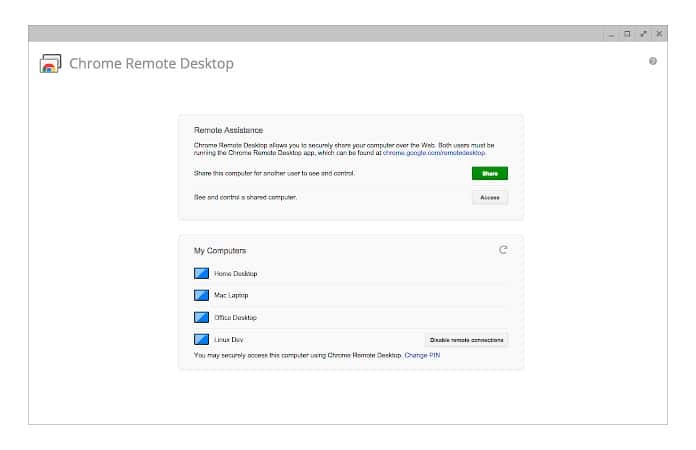 Chrome Remote Desktop is free to use and the perfect remote software for your use. You can easily access any computer remotely and share the files. You can access other’s system through Chromebook or Chrome browser. It is available for different platforms and encrypted with end-to-end encryption to ensure your full security. You can easily configure this software and can regularly use for free. 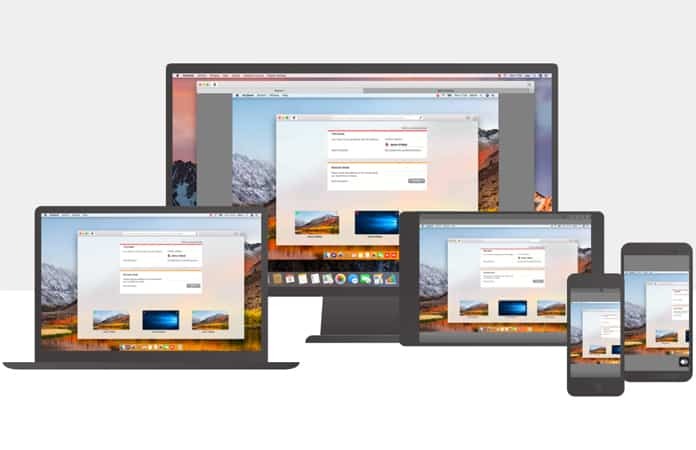 You can easily and securely access to your system files from anywhere with the help of Parallels Access. You can efficiently manage and access your all data at the same place. It enables a stable connection which never drops. 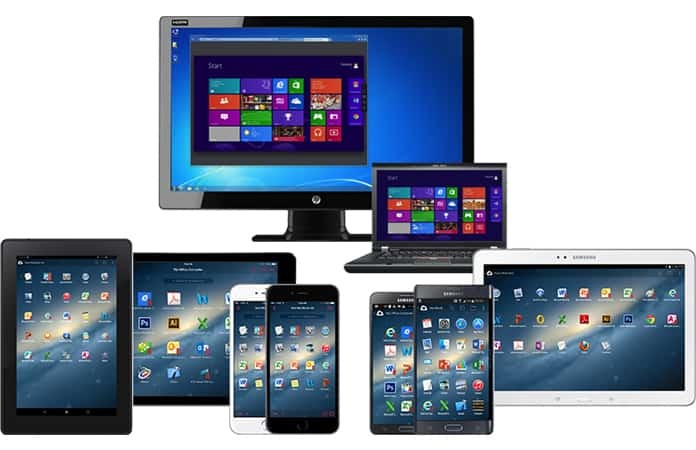 Its biggest advantage is that you can easily access macOS and Windows devices from iOS and Android devices. It provides gestures support, and you can easily control all the actions on this software. You can get Parallels Access new license from $79.99. 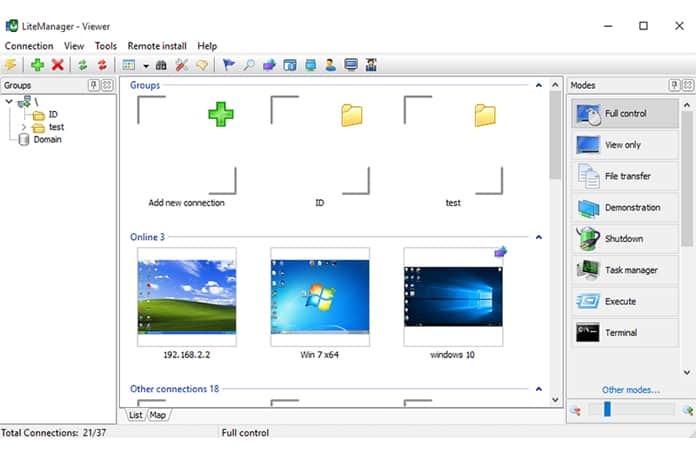 ConnectWise Control can be your first choice when you want to access the remote files. You can use it to transfer low size and large size files between different devices with complete security. It comes with AES-256 encryption and two-factor authentication and does not compromise on your security. You can use this remote access desktop software for personal and commercial purposes. There is a third-party integration which increases its features and provides you with great experience. You can buy this software at $19 per user annually. Lite Manager is capable of remote administration of computers in a local network. It is cross-platform and available for Windows, macOS, Linux, Android, and iOS. You can use its free version to control 30 computers remotely. Its user interface is simple and easily understandable. You can easily transfer all formats of files between different devices. Its cost is $10 for one license. 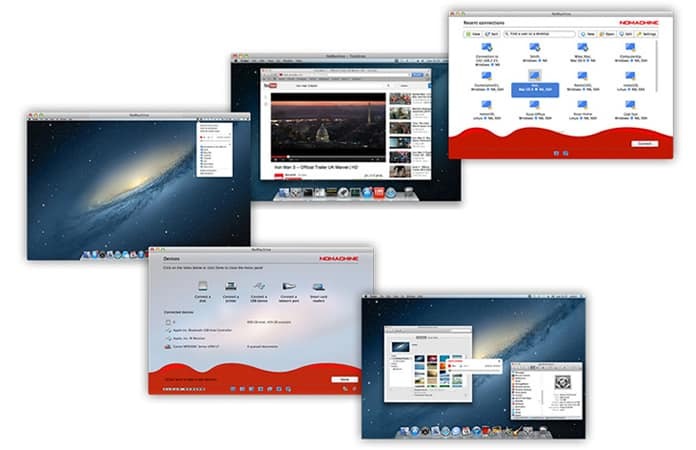 NoMachine is another great remote desktop software which is an alternative to TeamViewer. You can stream videos and audios and can share all types of data among different devices. It is available for Windows, macOS, Linux, Android, and iOS. It provides different options for easy recording and fast transfer of data. It is free software, and you can take advantages of it’s all features completely free of cost. 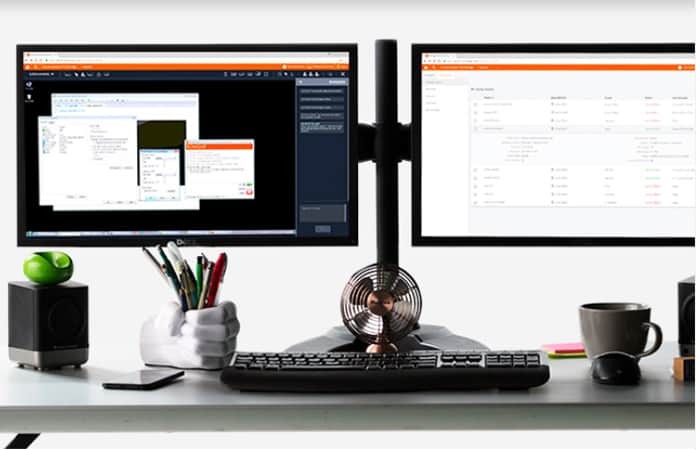 Bomgar Remote Support is the best solution when you are looking for a fully secure remote desktop app. It is an excellent software which confirms the heavy security and always provide easy access to other devices. There are a lot of features which are enough to provide you with all options for connecting with others easily. You will get easy unattended access and third-party integrations. You can try its free trial or you can buy the license annually. We hope that you liked our list of the best TeamViewer alternatives. Don’t forget to like, share or leave your comment in the section below.